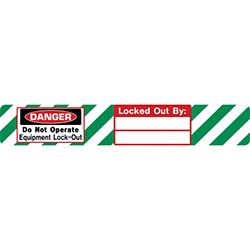 Lock Out Labels can only be removed by __ self-laminating padlock labels allow quick identification of locked out equipment. 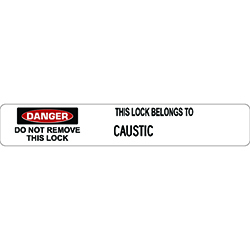 Wording: “Danger this lock is to be removed only by person shown on locked out by:__”. Fill in your specific information. 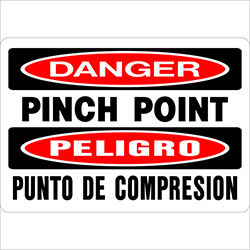 Size options: 3/4″h x 5″w or 5/8″h x 4″w, 30 labels per package. Protect your information from wear, tear, and chemicals. 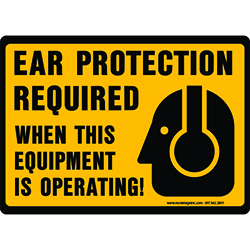 Write your safety message on the vinyl label, peel away the liner, and press the self-adhesive, clear overlay to laminate. 4″ size is ideal for use on standard master padlocks. 5″ size works for American, colored bumper master, heavy-duty master, and master aluminum lockout padlocks. 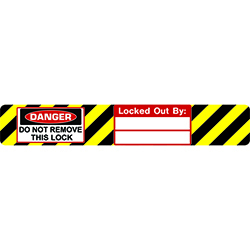 Be the first to review “Lock Out Labels Black/Yellow” Click here to cancel reply.